Every time users are not able to make super clear dot alignment at quite long work distance or high lighting working occasion, it would be a super great technical innovation for the real precise device manufacturing works. In order to get quite easy and accurate dot alignment in distance, it is a great chance to use a high power 635nm red laser diode module. 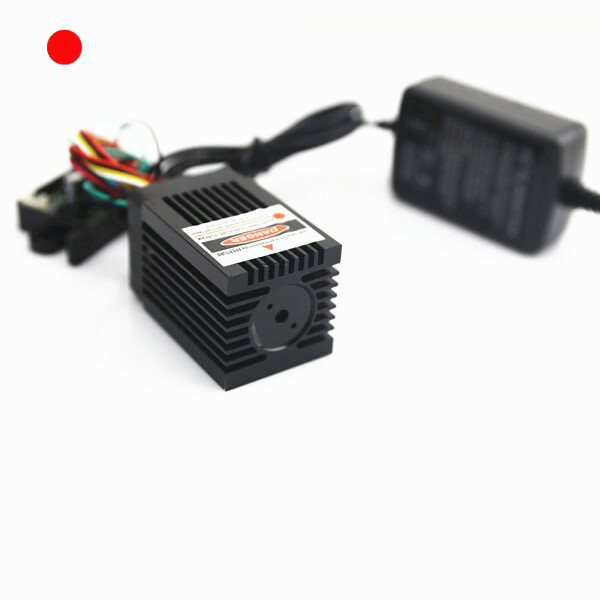 In order to maintain highly stable and reliable dot alignment, this high power 635nm red laser device is being made with super strong environmental stabilization. When it is being made with excellent thermal emitting and constant electric power source, it will easily get highly stable dot generation in long term use. On basis of very easy use of AC/DC input power supply, high power 635nm red laser diode module is obtaining continuous red dot alignment immediately. It is accepting wide range electric current input within 100V to 240v, which is converting into quite lower operating voltage of 9V output electric source. It is able to work with wide range output power of 150mW to 500mW, which will always make sure of constant and highly clear red reference dot generation in long term use. On basis of quite easy design of high temperature and corrosion resistance electric wires for both high power 635nm red laser and DC input power supply, it is just able to work with highly stable dot generation under all kinds of harsh working occasion, including strong interference or strong static etc. Without worrying about laser light decay in continuous work, high power 635nm red laser diode module is getting quite high quality glass coated lens. Usually it is passing through up to 24 hours aging preventing test, this laser dot alignment tool is always keeping quite clear laser beam emission, and highly clear red dot emission in distance. Owing to its special laser beam mode of TEM00, red laser dot is just keeping good round shape, and the most compact dot diameter. Users should only make very easy screw of laser beam aperture, highly intense red laser beam is concentrated, and then obtaining the most compact size red alignment laser dot generation in distance efficiently. Whenever users are making continuous dot alignment in various machinery processing work, 635nm high power red laser diode module would be used under all kinds of harsh working environments. The time it is generating extremely intense and powerful red laser light and thermal energy, it is a key issue to wear proper 635nm wavelength preventing laser safety goggles and avoid any eye exposure to powerful red laser light, this high power alignment laser would always make sure of highly secured and free dot measuring result constantly.